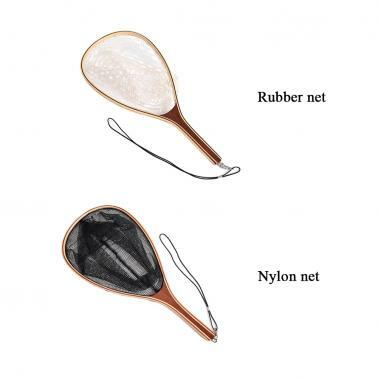 This fly fishing net, with lightweight, compact and delicate net construction, makes it super easy for catch and release, which is a perfect tool for anglers. Lightweight, compact but sturdy design. 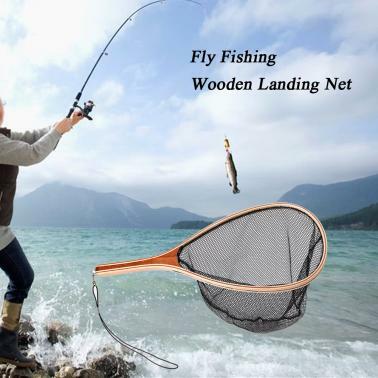 The fishing net is big enough to agrab the fish. The frame is made of wood, solid and durable to use for a long time. 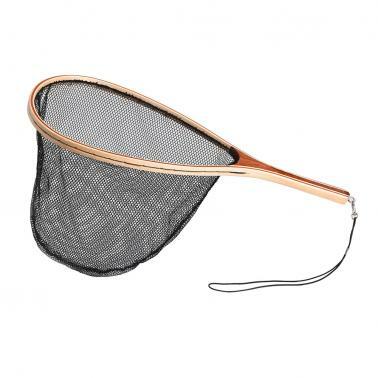 Delicate net design makes it super easy for catch and release and also keeps fish from being hurt. Durable handle, which makes it feel good in your hands. 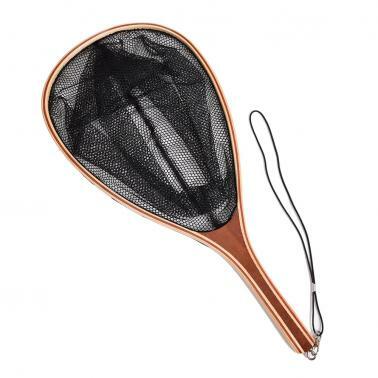 Come with a security lanyard and a clip, so you don't worry about dropping the net or losing it in a quick stream.